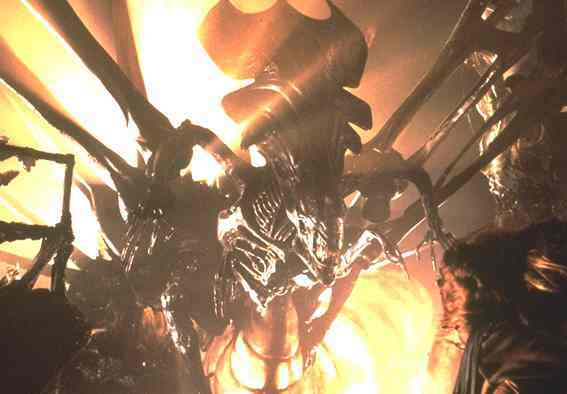 Do you remember, at the end of the Aliens movie, when Ripley came face-to-face with the Alien Queen? Of course you remember. Well, do you remember when you first saw the queen and how she was positioned in that scene, with very large "protrusions" or "spikes" or "vines" sticking out of her back? Well, I always wondered what these were and I always thought they were resin vines used by her and her brood to keep her body in place, just like the resin vines that keep her egg sac in place. BUT I recently purchased a rare A.F.E. 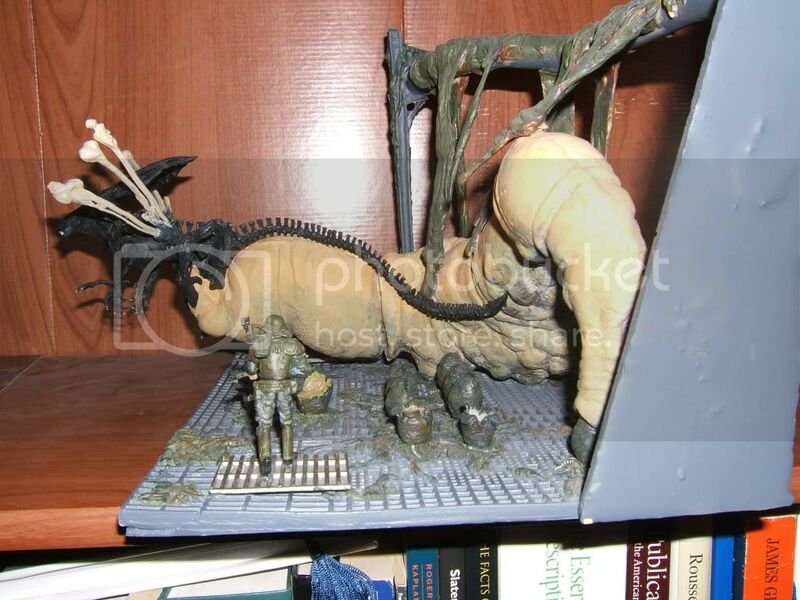 model kit called the Alien Queen Egg Chamber Diorama, based on some of the original concepts from Aliens, and they call these large protrusions on her back WING REMNANTS or basically vestigial wings, meaning that she once had wings! I was a bit blown away. Maybe that's why Kenner created the Flying Alien Queen at some point? Thought I'd share this with you fans since I never would have thought or imagined this. I've been a major-geek-fan of these movies since forever and the idea of wings never came to mind. I'm glad to see that I can still be surprised with all these little tin bits of info I learn throughout the years. I might view that scene in a different way now. I'll try to include some pictures if I can. I haven't been on this site in a while and I'm having a bit of trouble inserting pics. 13 Responses to Alien Queen from Aliens had wings!!? AFE Designs Alien Queen Diorama (with wing remnants)! In Fight Club the narrator writes a Haiku and stares at it early in the film. "Worker bees can leave, even drones can fly away, the queen is their slave". Maybe James Cameron and his team came up with some of the wing concepts. You know how the orinal Alien's filmmakers were inspired by those parasitic wasps that turn ants into hosts and mindless zombies?. I view the Engineers as slightly similar to beekeepers...And don't really view the Aliens as ants. I think the Marines have it all wrong, parts of their social organization are closer to wasps or bees, but the creature itself is nothing like insects. The winged globe symbol that Weyland corp uses could be to show Weyland's ability to fly to other worlds. In our culture and in the Engineers there may be pilot classes and marine or warrior classes. Ones who specifically pilot things, are supposed to only fly the ship. And there could be those who can learn to be pilots when they have to. David's able to be a pilot, because it's easy for androids to quickly learn how to pilot any ship. Basically Pilots might be able to come frome any class..
Marines/Warriors can easily move up the ranks & become a pilot Or you can start as a pilot like Ripley did...And skip the indoctrination into the Marines until later... Becoming a pilot involves some skills some marines already learn/have through basic aircraft training. What if there are those who can start out or become pilots in all species, in all clases? What if one did fly to reach the smaller ship partway through Aliens? We never saw how that one actually got aboard.. The queen prob climbed. But what if one did fly?And we've just never seen all of one who's earned its wings...Then that same Alien who caused the earlier ship to crash continued evolving/devolving hopped aboard the other dropship when Bishop left, he contained it in one section of the ship and actually managed to kill it while it took him so long to get back... Later on its leftover genetic/nano tech material morphed itself into eggs, (or super facehugger in Alien 3 special edition), because Bishop thought he could store the dead alien spore, but this side of the alien lifecycle can come back to life at times, sorta like Fifield..It morhps and earns its wings to help take the Alien organism further and to other planets. In Alien 3 when Ripley re-connects Bishop's head he tells Ripley "the eggs were allways on the ship" "the company knows everything". Somewhere I read that the Brothers Strause wanted a cameo to a flying queen in the homeworld of the xenomorphs in the final scene of AVPR, with a predator trying to catch the creature, but the idea was out of the film due to budget. Xenomorphs don't have wings. Those things were either her biomechanical "throne" that supported her or her dorsal spines. I would have to agree with you Sci-fi King25. I always thought (and still do think) it was her support throne (which always impressed me in that scene; a grand image I always thought) - that's why I was so surprised to read the words "wing remnants" black-on-white on an official alien toy instruction label from Aliens. The ideas and original concepts behind these movies never cease to surprise and amaze me. 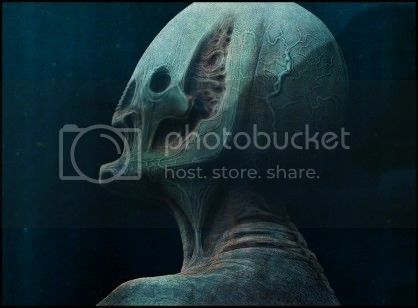 Altho an awsome thought, biologically a flying Xeno would need a total redisign to make it believable. Being such a large and probably heavy organism, the wings would need to be gigantic to enaable enough lift. Despite this the idea of a Xeno homeworld sounds intrigueing. having said that the rest of AVPR would still be disapointing. 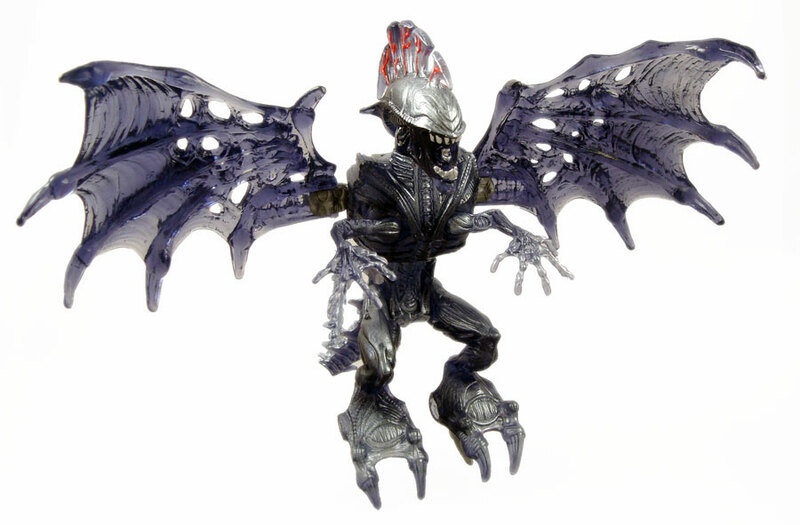 Can you imagine that silly Predalien flying!! I thought it was some sort of support for hanging the egg sac on the queen. They are. Support for the Queen that is. Egg sac has its own support. Better view of 'wing remnants'. Watch NOW!! 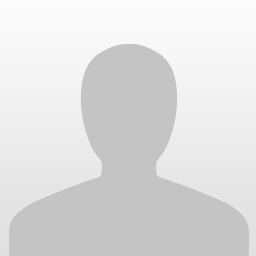 Alien: Covenant Movie English Online Free, Alien: Covenant Movie English Full Movie, Alien: Covenant Movie 2017 Full Movie Free Streaming Online with English Subtitles ready for download, Alien: Covenant Movie 2017 720p, 1080p, BrRip, DvdRip, CapRip, Telesyc, High Quality.